Shells have long been a treasured keepsake. Whether on a trip to the beach or an exotic island, shells are one of the greatest wonders of the sea. But they’re also a wonderful feng shui activator, too. Conch and cowrie shells can bring an abundance of feng shui benefits to your home and life. Besides being beautiful, conch shells are also considered one of the eight precious objects in Buddhism. They’ve long been used as a horn in ancient societies and is even used today by islanders, such as Hawaiians to initiate the opening of a luau or a religious ceremony. Their mighty sound was believed to banish evil spirits, and was often blown by warriors to scare their enemies. Royals often used the conch shell as an emblem of their status. According to Religionfacts.com, in Buddhism, the conch represents Buddha’s voice and the “fame of Buddha’s teachings which spreads in all directions like the sound of the conch trumpet.” But the conch spiral is also seen in Buddha’s navel, his hair, throat, hands, feet and sometimes in the third eye, and is thought to represent a divinely endowed being. Shells that turn right versus left are rarer and considered more auspicious. The right turning shells are open on the left and the curl is in your right hand. 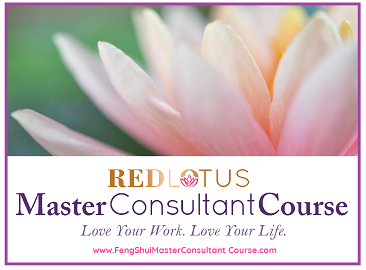 In feng shui, conch shells have a variety of meanings as well. 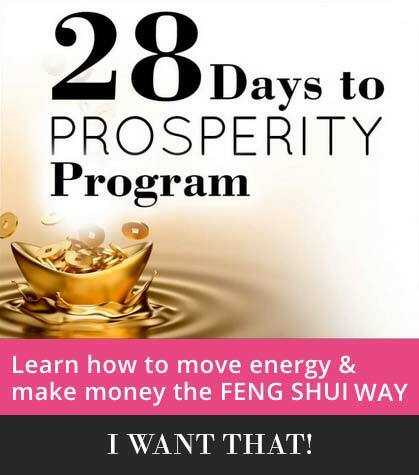 This is a very versatile feng shui activator that can be used in so many ways to bring auspicious energy to your life. A good stand in for the expensive and elegant conch shell is the cowrie shell. These shells can both be used equally well for feng shui. Here are six terrific ways to use a conch shell to activate your life in all areas. Seashells are a wonderful addition to your home to activate your income and wealth luck, but conch shells are event better. Place a shell in the north corner of business and career for more income and better business and career opportunities to come your way. To amass more savings and build your assets, place a conch shell in the southeast corner to help increase investments and grow your savings accounts. Feeling a little out of the social circle? A conch shell in the south corner of your living room or bedroom will help make communications and interactions with friends more pleasant and enjoyable. Friends will be more agreeable and your social opportunities will increase and your star will shine brighter. This works in both social and business settings. Often called the traveler’s shell, the conch is especially effective for those who travel for business. Tuck a small cowrie or conch shell into your suitcase or computer bag to bring auspicious energy while traveling. The cowrie or conch brings business rewards and business luck, especially luck overseas, and for smooth, uninterrupted travel and excellent communications during business meetings. The conch shell is also a good protective talisman. If you’re a single traveler or traveling on your honeymoon, the cowrie or conch shell will bring you love luck. This is also helpful to place in the southwest corner of your living room or bedroom to enhance your relationship and love luck, especially if you live far apart from one another. The shell will help to bring you opportunities to be together. A conch shell placed in the northeast corner of the living room or home is an excellent activator of wisdom, decisions, and clear thinking. Adding a lovely specimen is a good idea especially in homes where there are students and will help them propel them ahead in their exams. Decision-making will also be enhanced with a conch shell in your wisdom sector. If you’ve been looking for ways to get ahead and be recognized for your efforts, adding a conch shell to the south corner of your home or living room will help you rise in prominence in others’ eyes. The conch shell will help you raise your reputation and create greater renown. This is especially beneficial to entrepreneurs and those looking to climb the career ladder. When you’re ready to hit the road, take this travel trunk feng shui in a box with you! The specially chosen items offer you travel protection and promote positive energy. Inside you’ll find everything a traveler needs for a successful and harmonious travel experience that also has great feng shui, increased travel luck and protective talismans. A bagua-shaped mirror. Use it to deflect a negative view, or use it to as a base for the travel candle. Travel candle. Lovely, coconut-scented travel brings the flame of sociability and friendships. Protects against negativity and stimulate chi in your hotel room by ridding it of stale energy. Comes in a beautiful silver container that can re-used over and over again by inserting your own votive candles. 9 conch shells in a velvet pouch. The conch is a precious object that brings intelligence and a prosperous voyage and is perfect for the business traveler. For the business traveler, the shell brings about respect and authority. For the leisure travel, the conch shell represents harmony and fulfilling relationships and mental sharpness. Yellow pillow with jade dragon. The pillow is lightly scented and adorned with a carved jade dragon to bring vitality, good health and protection. Place next to your hotel room bed, or hang on the hotel room door handle or in the car for safety and good fortune. Faceted crystal. Perfectly travel-sized, this crystal can be hung in your window of the hotel room or from the lamp to spray rainbows of light around the room and bring about positive energy for your trip and hotel room. Jade pendant. Carved with the bagua amulet, jade protects health and the bagua provides benefits from all directions of your travels! Wear, display in your hotel room or carry in your luggage for travel protection. Mesh travel bag. Carry all your travel charms in this handy mesh bag that can be tossed into your carry on bag or your luggage to bring all your travel luck on the road with you! Red envelope. Comes with wish papers to write your travel wishes. Carry with you on your travels in your luggage or on your person.